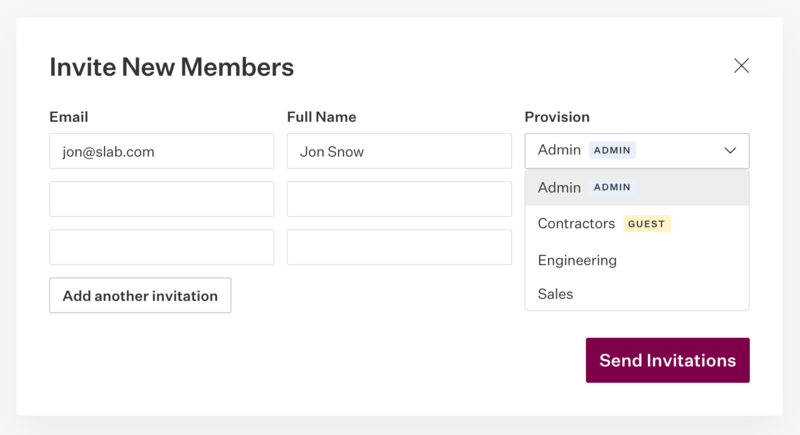 Guest accounts gives organizations the flexibility to grant limited access to certain users — such as contractors, partners, or clients. Guests only have access to the topics, and posts within topics, that they are a member of. There is no limit to the number of topics a guest can be a member of. All post and topic permission interactions that apply to regular users also apply to guests. For example, guests can be made owners of topics and/or be limited to read-only access within a topic. Guests cannot invite other users or create top level topics. Guests also cannot delete a topic that is top level from the perspective of the guest. Posts and topics will be hidden from guests without access. For example, if a post has two topics Finance and Marketing, and the guest only has access to Marketing, it will appear to the guest as if the post only has one topic: Marketing. Similarly, if a guest has access to a topic Billing, but not its parent topic Support, it will appear to the guest as if Billing had no parent and is itself a top level topic. Guests are invited the same way admins and regular users are. Guest provisions will have a badge, similar to admins in the invitation modal. Admins may add additional guest provisions or remove them altogether in their Team Settings. Existing users may also be downgraded to or upgraded from a guest. Guests are currently free under any plan. 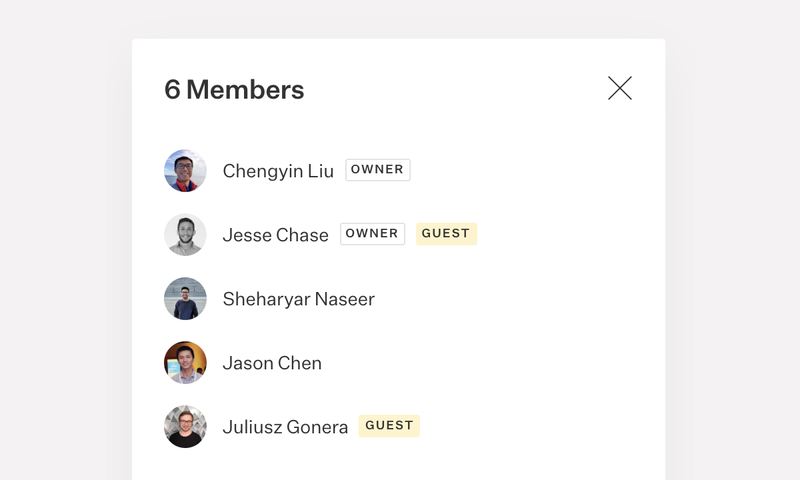 We may in the future add limitations for free guests, such as the number of topics a guest can be a member of.